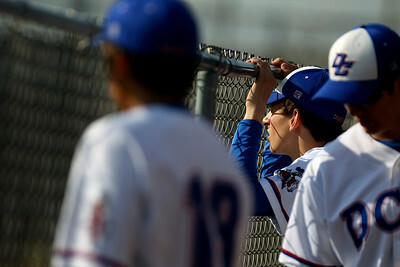 Sarah Nader - snader@shawmedia.com Dundee-Crown players watch their teammates bat during Wednesday's Class 4A Huntley Sectional baseball semifinal against Prairie Ridge on May 29, 2013. 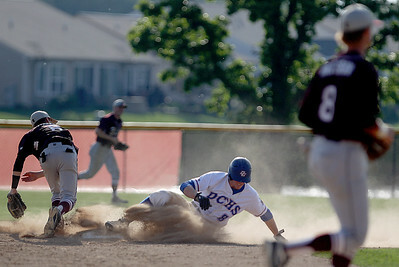 Dundee-Crown won, 15-4. 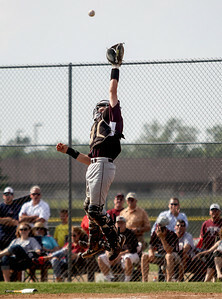 Sarah Nader - snader@shawmedia.com Prairie Ridge's Dustin Thelander during Wednesday's Class 4A Huntley Sectional baseball semifinal against Dundee-Crown on May 29, 2013. 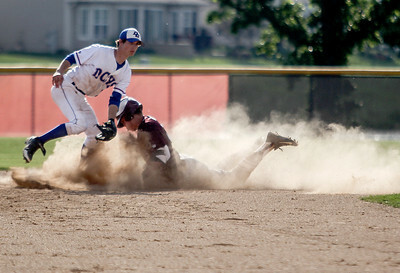 Dundee-Crown won, 15-4. Sarah Nader - snader@shawmedia.com Prairie Ridge placed Dundee-Crown during Wednesday's Class 4A Huntley Sectional baseball semifinal on May 29, 2013. Dundee-Crown won, 15-4. Sarah Nader - snader@shawmedia.com Dundee-Crown's Chase Bloch rounds second base during the first inning of Wednesday's Class 4A Huntley Sectional baseball semifinal against Prairie Ridge on May 29, 2013. Dundee-Crown won, 15-4. Sarah Nader - snader@shawmedia.com Prairie Ridge's Jordan Getzelman during Wednesday's Class 4A Huntley Sectional baseball semifinal against Dundee-Crown on May 29, 2013. 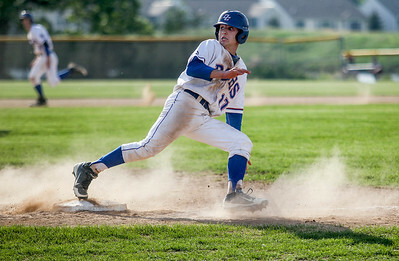 Dundee-Crown won, 15-4. Sarah Nader - snader@shawmedia.com Dundee-Crown's Zach Girard runs pass third to score a run during the second inning of Wednesday's Class 4A Huntley Sectional baseball semifinal against Prairie Ridge on May 29, 2013. 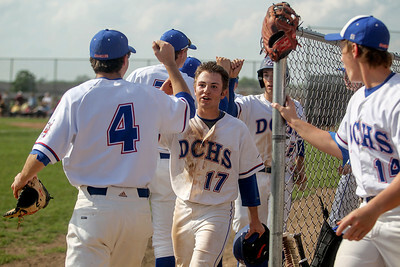 Dundee-Crown won, 15-4. Sarah Nader - snader@shawmedia.com Dundee-Crown's Zach Girard (center) celebrates with his team after scoring a run during the second inning of Wednesday's Class 4A Huntley Sectional baseball semifinal against Prairie Ridge on May 29, 2013. Dundee-Crown won, 15-4. 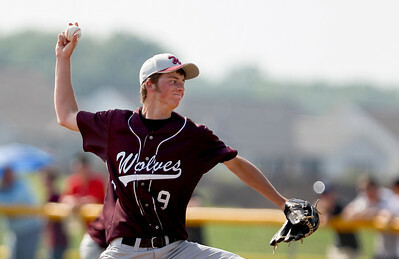 Sarah Nader - snader@shawmedia.com Prairie Ridge's Drew Buchta pitches during the first inning of Wednesday's Class 4A Huntley Sectional baseball semifinal against Dundee-Crown on May 29, 2013. Dundee-Crown won, 15-4. Sarah Nader - snader@shawmedia.com Dundee-Crown's Jared Ludwig pitches during the first inning of Wednesday's Class 4A Huntley Sectional baseball semifinal against Prairie Ridge on May 29, 2013. Dundee-Crown won, 15-4. 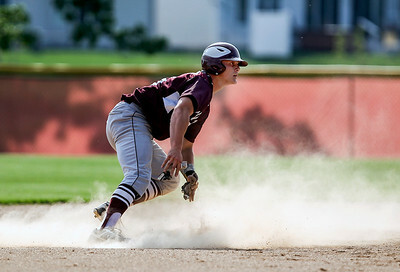 Sarah Nader - snader@shawmedia.com Prairie Ridge's Danny Pecoraro (left) throws to first as Dundee-Crown's Ryan Suwanski slides to second during the third inning of Wednesday's Class 4A Huntley Sectional baseball semifinal on May 29, 2013. Dundee-Crown won, 15-4. 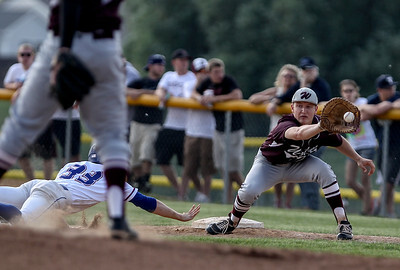 Sarah Nader - snader@shawmedia.com Dundee-Crown's Garrett Ryan 9left) waits for the pass while Prairie Ridge's Will Harvel safely slides to second during the second inning of Wednesday's Class 4A Huntley Sectional baseball semifinal on May 29, 2013. 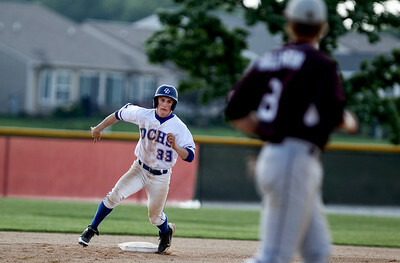 Dundee-Crown won, 15-4.